We have the 2016 Kia Sorento near Atlanta, GA. The Ed Voyles Kia dealers have taken delivery of the all new 2016 Kia Sorento. We are thrilled to offer this popular, American built CUV. The new Kia Sorento has an expanded body with a longer hood, extended wheelbase and a broader width. The larger body, a more aggressively styled front end and a wider stance give the new Sorento a more sporty and rugged look. 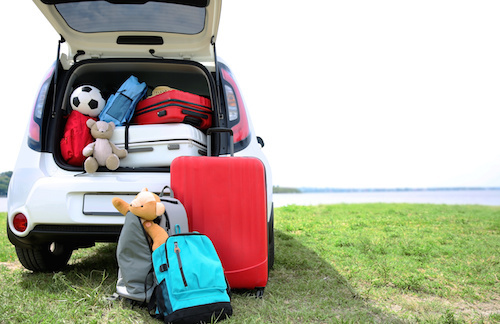 Drivers and passengers alike will enjoy more space in the expanded interior. Convenient sliding second row seats and foldable third row seats allow more seating and cargo space flexibility than ever before. 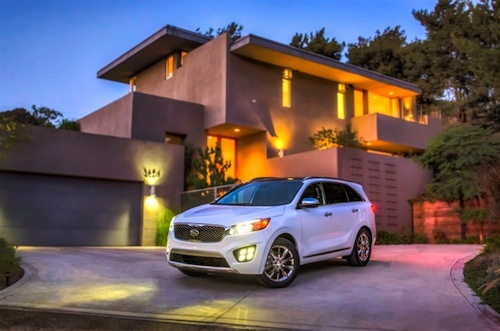 Soft touch materials and upscale, premium textures were used to revamp the Sorento interior. Even the base model interior received updated stain resistant cloth seats and side heated mirrors with integrated LED turn signals. Also included for all new Sorentos is Bluetooth wireless technology with steering wheel mounted controls. There are three engine types available for the new Kia Sorento including a 2.0-liter turbocharged four cylinder, 3.3-liter V6 or an improved 2.4-liter inline-4 engine. A wide variety of trim levels are offered as well. In addition to the Sorento L base model, there are a variety of trim options available including the LX, LX V6, EX, EX V6 and SX V6 models with additional technology, seating options and cargo space configurations. The new Sorento is also offered in Limited and Limited V6 editions for those who prefer more luxury features such as leather trimmed heated and ventilated seats or a panoramic sun roof with retractable shade. Recently named as a 2015 IIHS Top Safety Pick, the 2016 Kia Sorento is loaded with safety features. Dual front, side and side curtain airbags, electronic stability control, traction control as well as front and rear crumple zones are standard features on all new Sorento models. Additional innovative safety features include blind spot detection and lane departure warning systems that give visible and audible alerts if objects appear in the driver’s blind spot or when the vehicle drifts away from it’s lane. Kia designers are committed to building the safest vehicles on the road today and the new Sorento is no exception. If you would like to learn more about the exciting new 2016 Kia Sorento in the Atlanta, Georgia area please Contact Us or stop by one of the Ed Voyles Kia dealers and take a test drive.